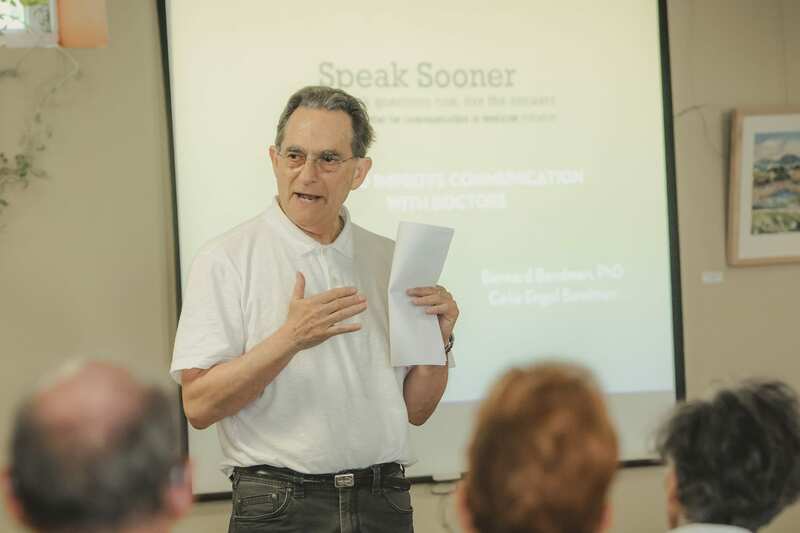 On Thursday June 21, 5:30-7pm the Bennington, VT-based Center for Communication in Medicine (CCM) will offer a SpeakSooner community forum titled, Re-defining Quality of Life: Living Fully With Illness, Disability and Aging. Bennington Project Independence (BPI) is hosting the event. A panel will explore the complicated issues surrounding quality of life concerns when facing the effects of illness, disabilities and aging. The panel includes: primary care physician Allison Niemi, MD; Bayada visiting nurse Sarah Sigsbury; patient Lindy Lynch; BPI participant Leah Frank; caregiver Dwain Wilwol; BPI social worker Melissa Stemp and medical humanist Celia Engel Bandman. CCM founder Bernard Bandman, PhD will moderate the program. The Center for Communication in Medicine offers community education programs to help improve communication between patients, family caregivers and healthcare providers. BPI provides adult day care services for those facing the challenges of aging and/or disabilities. On June 14, Center for Communication in Medicine’s (CCM) Dr. Bernard Bandman will present the keynote address at the American College of Surgeons (Vermont Chapter) Spring Conference in Quechee, VT. His topic will be Difficult Conversations with Patients and Families Facing Serious Illness. As Dr. Bandman notes, “Surgeons often find themselves having difficult conversations about results of biopsies or surgeries. What often complicates communication with patients and families is that surgeons may not be in a position to answer questions regarding treatment plan or prognosis.” Dr. Bandman will address the challenges surgeons face in honestly communicating medical findings while trying to ease distress about uncertainty and worry. The presentation will highlight the use of CCM’s Difficult Conversations Toolkit in addressing these challenges using real life patients’ experiences in hearing ‘bad news’.